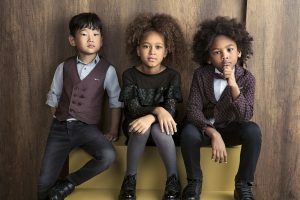 Win a £30 gift card to spend on designer children’s clothing! Ready for the Easter weekend? Got your little one’s outfits sorted for that family Sunday lunch? If not, then you’d be hopping mad to miss out on the Tuta Bunny Hunt competition to win a £30 gift card! Combining durability with beauty, Tuta offers stylish ranges of designer kids clothing for girls, boys and babies. Rich in imaginative design yet robust enough to withstand many washes and a hard day out at the playground. Tuta clothing will have your little ones both looking and feeling good long after Easter has gone. 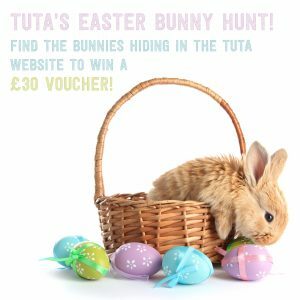 This egg-cellent competition launches today so whilst the kids are hunting for Easter eggs, do some hunting yourself to find all of the bunnies hidden within the Tuta website. Some may be hidden on main pages and some may be hidden within product descriptions, just keep an eye on the Tuta social media channels for clues! Competition ends 02/04/18 at 12 pm. By entering this competition you will automatically be added to the VIVA database. If you do not want to be added to the VIVA database then please state in your email.